[Registration Closed] 75th Breakfast Meeting –Learning from Scotland about promote respect for the rights and community development for creating a society in which people with dementia can live with hope (February 15, 2019) - Health and Global Policy Institue（HGPI） The global health policy think tank. It is estimated that the number of people living with dementia will increase to about 7 million in Japan and about 75 million worldwide in 2030. Building a dementia-friendly society is clearly a healthcare issue facing the entire world, and Japan has come to recognize the importance of this endeavor more and more in recent years. Recently, the Japan Dementia Working Group (JDWG) announced the Declaration of Hope on Living with Dementia, and there have been other efforts towards creating a society that enables people with dementia continue to live well with hope and dignity after diagnosis. 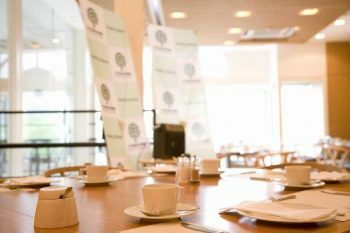 HGPI will host a Breakfast Meeting featuring Mr. Jim Pearson, Director of Policy & Research at Alzheimer Scotland. Alzheimer Scotland is an NGO which plays a central role in joint efforts with the government of Scotland that promote respect for the rights of people with dementia and hasten the development of a dementia-friendly society. To ensure that the rights of people with dementia and their families are respected throughout society, Scotland enacted the Charter of Rights in 2009. At this meeting, Alzheimer Scotland’s activities and their part in the Scottish Government’s Dementia National Strategy will be introduced. We will also discuss future visions for Japan. *This meeting will be held in English (No simultaneous translation will be available). Registration will close at 10:00 am, Monday, February 4, 2019. Participants will be selected by a draw of lot and will be informed of the result by Tuesday, February 5. Individual supporting members of HGPI will be notified earlier. If you would like to cancel, please inform us by noon on Tuesday, February 12. If you cancel after this, participation fee might incur.